FOURTH former Tristan Paris has been on cloud nine after learning to fly with the RAF Cadets. 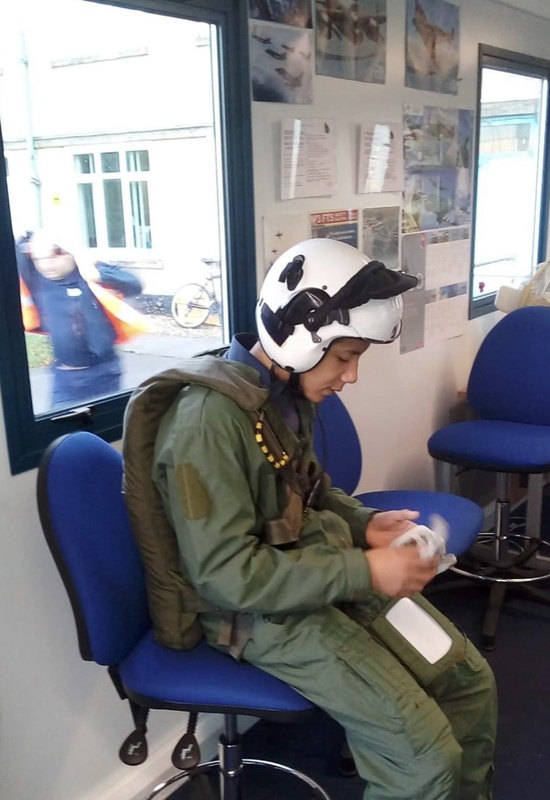 The 15-year-old is one of 18 Ripon Grammar School students who are members of the Air Training Corps in the city, the largest number from any school in the area. He recalls his first flight in July, at RAF Linton-on-Ouse, after he had undergone some initial training: “We had to do a test and watch a demonstration by Linton-on-Ouse personnel. We also had to learn how to put on our special flight suit and parachute. “After putting on my specially designed flight helmet, I was ready to take to the skies,” he says. He flew in a single propeller Grob Tutor aircraft: “It is a very small and nimble aircraft, so it’s excellent for performance tricks in the air. “It was the end of break time when I flew over Ripon Grammar School, so I saw a few stray students making their way to lessons. “After flying over the school, I flew over the rest of Ripon, going around Ripon Cathedral twice. I enjoyed a really picturesque view, the network of roads, tiny cars and dominating buildings. It was truly a sight to behold. “I was in the air for over half an hour, but due to the speed and the euphoria I experienced, I felt like it was time to come in to land in no time. “The pilot, Flight Lieutenant Cuthbertson, brought the plane safely in to land and taxied it to the parking space on the apron. I felt so euphoric after stepping out of the plane I remember shaking all over. Sqn commander, Flight Lieutenant Bickerdike, pointed out that the ATC offers a wide range of activities for young people aged 12 to 18 years old. 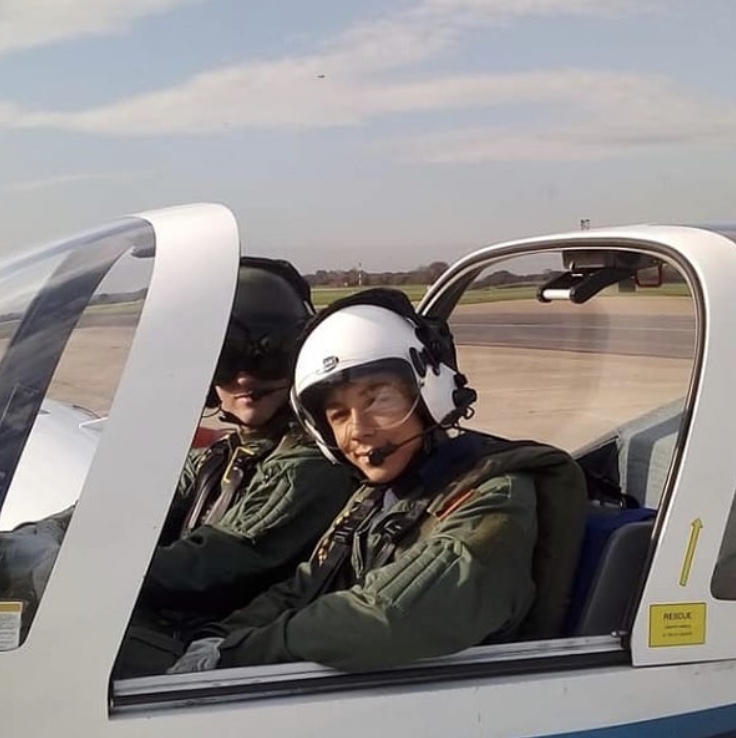 He added: “Each year the cadets have the opportunity to attend a one week camp at an RAF station, where they have the opportunity to fly in transport aircraft and helicopters if they are based there. It has been known for the lucky few to be awarded the chance to fly in a fast jet. “Cadets also have the opportunity to attend camps on RAF stations in Germany, Gibraltar and Cyprus and in the past three years I have had a cadets attend America and Canada on the International Air Cadet Exchange Scheme. “On joining the squadron all cadets are given basic instruction in the history of the RAF and the ATC, map reading, communications, drill, shooting and airmanship, before going on to learn about principles of flight, advanced map reading, engines, air frames and a host of other aeronautical subjects. At each stage they take exams. All cadets undertake ‘heartstart’ training and youth first aid training. *The cadets are running an intake for new recruits in September and students need to be 12 years old and in year 8 to join. The Ripon squadron, which currently has 49 cadets, meets every Tuesday & Friday 7pm-9.30pm.